Annie E. Casey Foundation Asks The Hard Question: "What difference are we making?" How can a foundation better evaluate the difference it's making in the world, when its grantee portfolio is diverse -- and it's the grantees who actually deliver? Copyright 2007 The Bridgespan Group Inc. 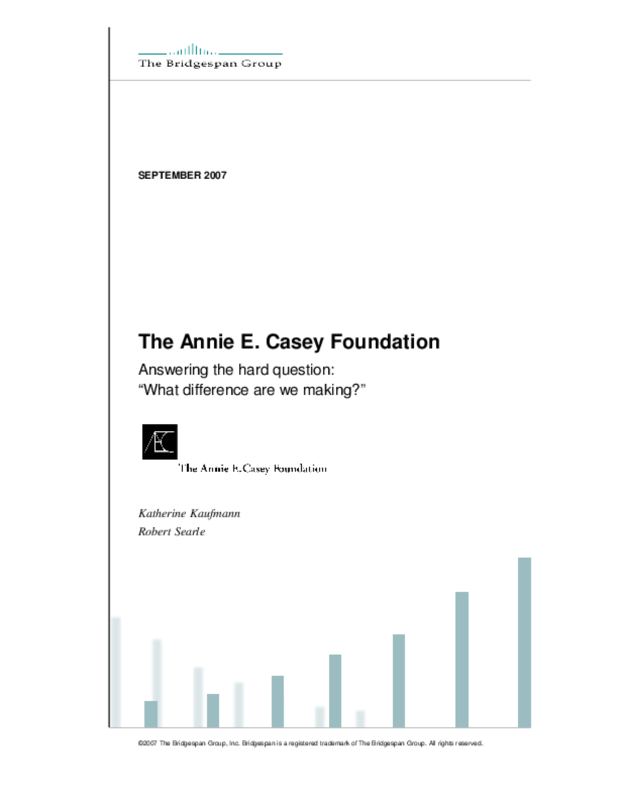 Title: Annie E. Casey Foundation Asks The Hard Question: "What difference are we making?"